Former Shelby County mayor Bill Morris is now a full-time caregiver. Anyone with aging parents or a spouse battling illness or loneliness should be so fortunate as to have someone like Bill Morris in their life. Morris was sheriff of Shelby County from 1964 to 1970 and Shelby County mayor from 1978 to 1994. 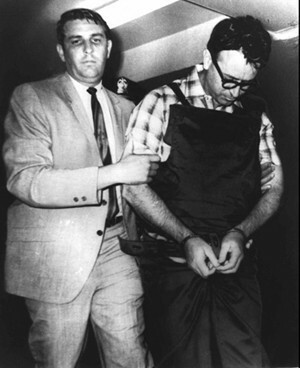 Assassin James Earl Ray was his prisoner, and Elvis Presley was one of his running buddies. But for the last 14 years, Morris has spent nearly all of his time at his home in East Memphis taking care of his wife Ann, who suffered a series of strokes. When he attended the press conference to announce that the University of Memphis will join the Big East Conference, it was a rare public appearance and a personal triumph for the Tiger booster. "I had a big life, but the biggest and most rewarding part came after I retired," he said when we met last week. A big life indeed. William Noel Morris, 79, grew up poor in North Mississippi. After a year of junior college, he enrolled at what was then Memphis State University where he studied journalism. He knew the business from the inside out. As the youngest journeyman printer in Mississippi, he had spent countless hours putting out the Itawamba County Times. One day, he decided to interview the most famous man in Memphis, Edward "Boss" Crump, also a Mississippi native. "He questioned me more than I questioned him," Morris said. The great man liked what he saw in the cub reporter and wound up not only giving him a story but also placing some badly needed advertising in the "Tiger Rag." Journalism's loss was politics' gain. Morris was a natural at selling. He rapidly climbed the ranks through the Jaycees and in 1964 was elected sheriff. His most famous prisoner was Ray, who was in his custody from July through December in 1968. Ray confessed to killing Martin Luther King Jr., but, then as now, Morris believed he had helpers who were not prosecuted. "History is not finished with the role that others played in the assassination," he said. He was elected county mayor in 1978. The roles of politico and reporter were reversed when I came to see him during his second term. When a big idea had Morris by the ear, brevity and sentence structure were early casualties. I glanced over at press assistant Tom Jones for help. Jones smiled and turned his palms upward. I don't remember what I wrote, but between the mayor's babbling and my incompetence I'm sure we made a hash of things. Morris and his wife were close friends of Elvis. Ann Norton (her maiden name) graduated with Elvis from Humes High School in 1953. "To a real cute girl," Elvis wrote in her yearbook. He was pale, pimply, and two years from stardom. Two pages of the yearbook are devoted to students deemed most athletic, best-looking, most likely to succeed, most talented, most popular, and so on. The future King of Rock-and-Roll got blanked. Morris proposed to Ann on a Thursday, and they got married the following Saturday in 1953. "I borrowed $20 and a car," Morris said. He joined the Army, and they moved to South Carolina. They have been married 58 years and have four children. Ann suffered a massive stroke when she was 61 years old. There was no warning. She was a vibrant woman with a background in nursing. "I never looked back," Morris said. "We closed the chapter on the past 14 years ago." He is with her, alone, for some 100 hours a week. She cannot walk or say too much, but they play cards, plan and share meals, and he takes her to doctor appointments in her wheelchair. He tries to create humor under the most adverse circumstances and smiles at the memory of the old days when people, himself included, thought he was a hot shot. "She is the greatest trouper of all troupers," he said. "I make her as comfortable as I can. I never feel put upon. Little did I realize I was taking more than I was giving." Last year, family and friends of Morris contacted me about helping him write a book. I was skeptical, knowing from personal experience that the market for Memphis history is limited. I had heard that he was a pack rat. But I was not prepared for his vast collection of pictures, papers, memorabilia, and articles. A picture is worth a thousand words. Morris is a storyteller supreme. To make a long story short, as he likes to say, we settled on a special feature in an upcoming issue of the Flyer's sister publication Memphis magazine. I hope you'll look for it.